Alaska has 6,640 miles of coastline, more than 3 million lakes, over 12,000 rivers, and thousands of streams and creeks. All that water invites a lot of water traffic. Unfortunately, a lot of accidents result from all that activity. Here in Alaska, drowning remains one of the top five causes of unintentional injury and death. Approximately 30% of those deaths occur in boating accidents. Why Should You Hire a Boating Accident Lawyer? Medical bills and damages can pile up quickly following a boating accident. You may find yourself in an uphill battle to recover physically and financially. A boating accident lawyer can help. 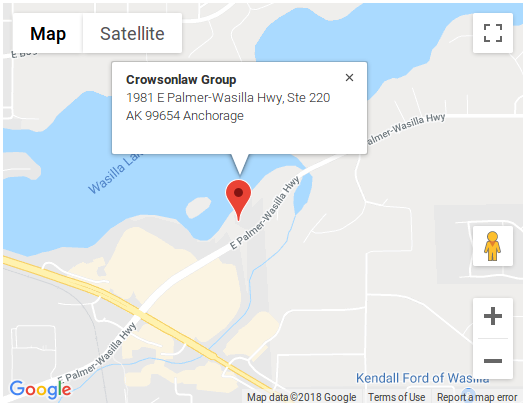 At Crowson Law Group, we have an experienced and dedicated team that helps boating accident victims, and families who have lost a loved one in an accident, across the state of Alaska. Our warm and friendly staff will help you feel comfortable and secure — not frustrated and unsure of how to support your family. If you were injured in a boating accident because of someone else's careless actions, you may be entitled to compensation for your injuries and other damages. At Crowson Law Group, we take the weight of the accident of your shoulders so that you can concentrate on getting better. We will gather evidence, construct a timeline of your accident, compile your medical records. Most importantly, we will stand up for your rights and fight aggressively to secure fair and full compensation for your injuries, including your medical expenses, damages, and other losses. At Crowson Law Group, our personal injury lawyers want to help you secure the compensation you need to get better from your injuries. 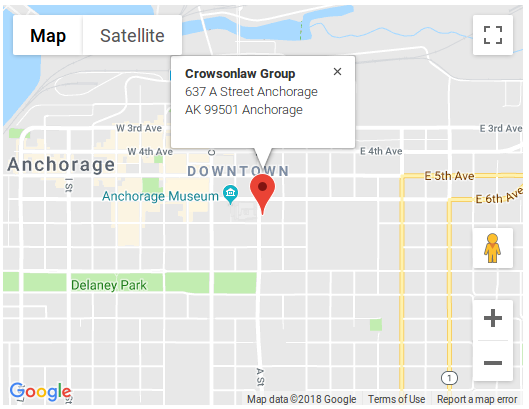 If you or a loved one has been injured — or if you have lost a loved one — please contact Crowson Law Group online or by email, or at 855-677-9393 (toll free), 907-677-9393 (Anchorage) or 907-519-0193 (Wasilla) to speak with our Wasilla or Anchorage personal injury lawyers. Our phone lines are open 24 hours a day, seven days a week. We proudly serve all of Alaska and are here to help. Your initial consultation is free and confidential.